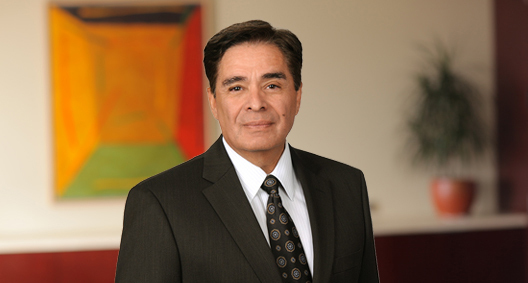 Joseph Chairez is a business trial lawyer who has litigated numerous complex business, products/technology, employment and construction defect matters. He also maintains a national insurance coverage practice, litigating coverage on behalf of corporate policyholders, which has produced millions of dollars of insurance policy benefits for his clients. Joseph is the Litigation Group Coordinator for the BakerHostetler Costa Mesa office and a member of the Pro Bono Committee for the firm. Additionally, he speaks on a variety of trial, ethics and litigation topics at CLE seminars. Lead counsel in an aviation products case involving printed circuit board and related technology. Represented a printed board assembler. Lead defense trial counsel on a multiplaintiff federal court discrimination case for a national freight company seeking millions of dollars. The three-week jury trial resulted in an outright defense as to two plaintiffs, and a favorable defense verdict as to the remaining plaintiffs. Lead coverage counsel for a subprime lender against a failing national non-admitted carrier. Obtained an $11.5 million bond from the carrier to protect the client's claim resulting in the subprime lender being one of the few insureds in California to have its claims paid. As reported in the Los Angeles Daily Journal, the general counsel commented, "That was worth its weight in platinum." Lead counsel in a guidance system product and testing case. Represented a high-tech testing company. Lead counsel in a major toxic tort litigation against multiple manufacturers, and distributors of automobiles and related products; obtained a dismissal on behalf of the client manufacturer of plastic products. Lead in toxic tort claims brought by the plaintiff against multiple manufacturers of wood treatment products; obtained dismissal of the manufacturer of product constituent. Counsel in a construction defect case against a manufacturer of homes and related housing construction products, and obtained dismissal on behalf of the client manufacturer. Represented clients in a variety of other litigation involving products, including an LPG burn case involving valves, a case involving home appliance products, a severe elevator injury matter, a case involving thermal paper used for prescriptions and a complex coverage matter involving satellite solar arrays. Lead defense trial counsel on a federal employment age discrimination, misclassification and unfair business practice case where the plaintiff sought $1.1 million plus punitive damages. The plaintiff waived jury on the eve of trial, and at close of the bench trial a defense verdict was awarded on all causes of action. Represented a global company in defense against a carrier's reimbursement claim on an underlying matter involving aerospace products related to multiple satellites. Obtained a favorable summary judgment ruling, removing approximately $12 million from the carrier's claims, with the matter settling shortly thereafter. Represented officer/general counsel in a coverage dispute with various carriers involving an underlying corporate mismanagement case. Litigated various layers of coverage and as to one carrier, after a favorable summary judgment ruling, obtained its $10 million policy and payment of all fees and costs to obtain coverage.